CLOSE TO BEACH AND CASINO. 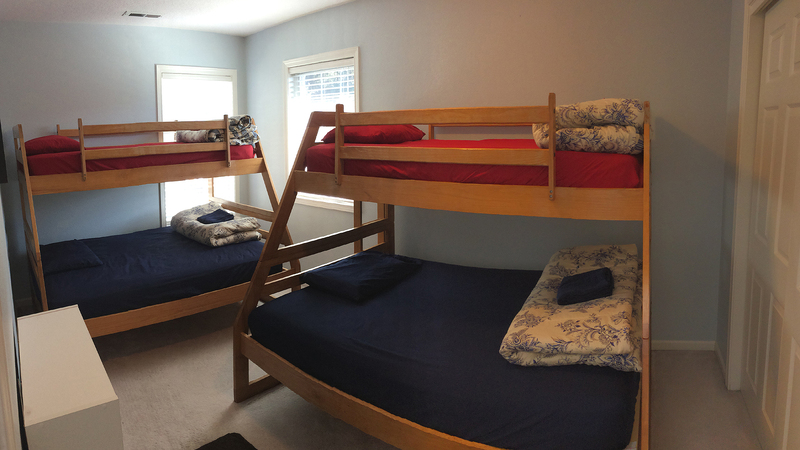 Family Friendly with Wifi, Game room including Ping Pong, Air Hockey , Foosball . 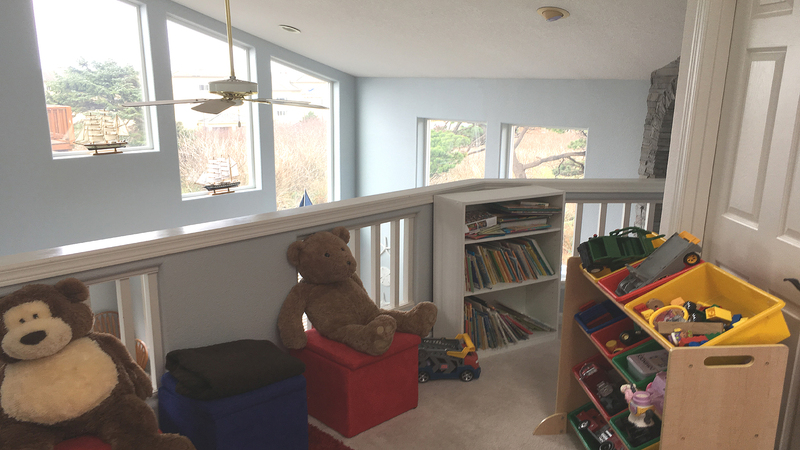 Children's Fun Play Loft with games , puzzles , blocks and books! 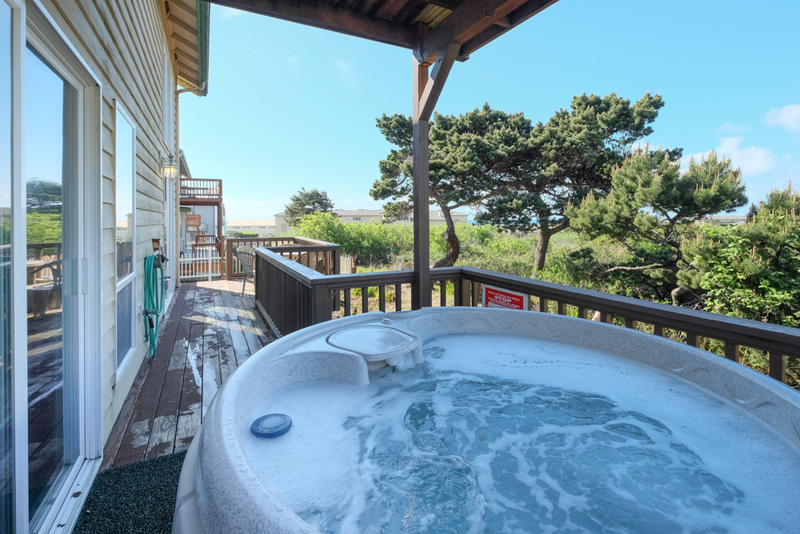 Fireplace, leather furnishings, PRIVATE HOT TUB ON DECK as well as an ocean view! High ceilings, recessed lighting, hardwood floors & skylights. Large gourmet kitchen fully equipped including new microwave, range, and dishwasher. 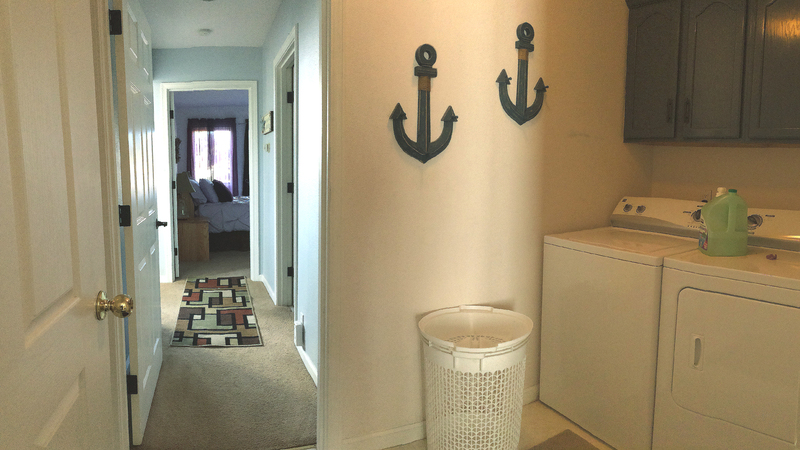 Complete with New washer and dryer, TV's in both Queen Bedrooms, DVD Completely furnished with linens and towels. Summer 2019 has a 4 night minimum unless filling a gap. Please avoid leaving a Single Night gap June- Sept. & Spring Break. Some holidays may have minimum night stay . No American Express please. "When we arrived, the house had no heat on. It was snowing outside and it was warmer outside than in the house. It took 6 hours to get warm enough to relax. We had to leave for awhile. If you have people renting from you in the winter, you should have someone go in ahead of time to turn on the heat. Also, The decking under the hot tub is rotted. The Hot tub cover is old and musty and makes the tub stink. I own a hot tub. I would not use the one at the beach house." 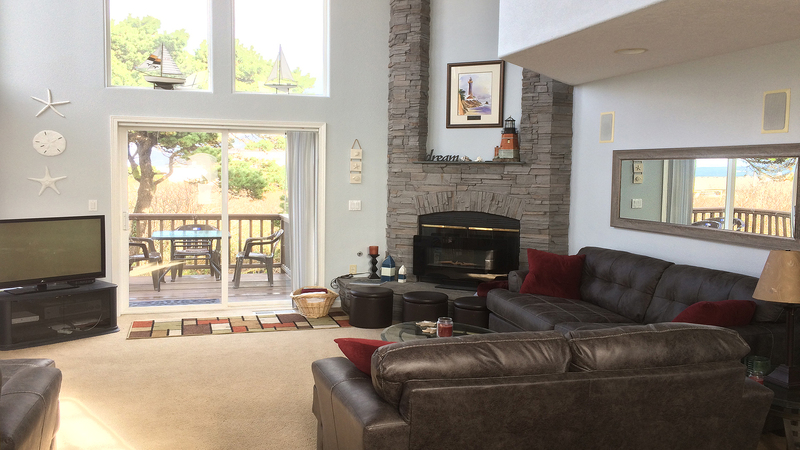 "The house was in a perfect location for the pool tournament we were participating in at the Chinook Winds Casino. We had some trouble with electrical items, figuring out how the lights worked and we never did get the fireplace to turn on. But those items did not all of that was worth everything else. Deers came through the yard, both bucks and does. The Hot Tub was used. The owners of the property were so helpful when we discovered that we had left a wallet behind. We had a friend still in Lincoln City and they were able to get it for us. We will return. Thank you." "The house and layout were awesome. The property owner was very responsive to our call when a grill was not on the premises and sent the maintenance guy with a new one. The house was also very clean, so the cleaning company must be great. There were lots of toys and books for the kids, which were much appreciated. Our only issue is that the house has a lot of deferred maintenance (holes in the wall, broken blinds, broken vent fans, broken towel racks, incorrectly installed lights, etc.) and I understand why after seeing how poorly the maintenance guy put together the new grill.. Multiple screws missing and assembled incorrectly (e.g. we fixed the lighter after he left and found screws on the ground in the garage..) He's a nice guy, but clearly doesn't know what he's doing. My advice would be change maintenance companies and this property would be an absolute gem. Otherwise, we'll probably still be back, but I may bring my own toolbox just in case..."
"The house location and layout was perfect for us. Really appreciated the childrens play area as we had a toddler. Layout/bedrooms were as described. The gas fireplace was disconnected and the "screen" they substituted with a streaming fire/fireplace didn't function either. We had a good time and will probably go back." "Comfy beds, well stocked kitchen (need more pans), but plenty of dishes, living room was perfect for sitting around and playing games. Hot tub on the smaller side, but if you are comfortable sitting close, 4 people fit. I think they might need to get a new cleaning company. We cleaned it better when we left, than it was when we arrived. Trash was left on the side of the house. Game room was fun, but air hockey table was not really blowing air, and the pucks were too light. Overall a good house for the price." "Wonderful location, easy walk to the beach. Very relaxing! " Manager Response: So glad you enjoyed Chinook Winds Hideaway! Hope you visit again soon! "Updates to interior are nice. Enjoyed the hot tub." Manager Response: Glad you had a great stay! Visit again soon! "Loved this house! Second stay here and will be back! Can't be the layout or location! " Manager Response: So happy that you enjoyed Chinook Winds Hideaway! Hope you visit again soon! "Very nice house, lucky with beautiful weather"
Manager Response: Thanks so much for staying! See you again soon! Manager Response: Hope you visit again soon! Thanks for staying! "Loved the place. It was located in a quiet area. Deer visited us every morning." Manager Response: Happy that you enjoyed Chinook Winds Hideaway! Hope you come again soon! "Thanks again for letting us rent your house. " 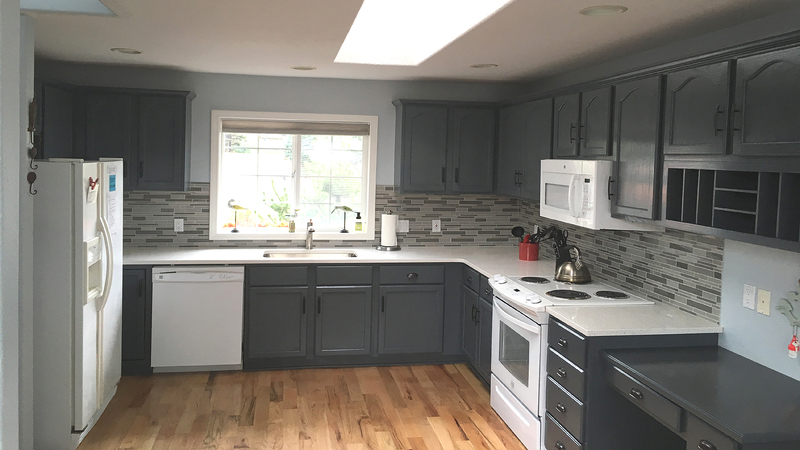 "This little rental had the best-stocked kitchen of any rental property I have experienced. The house was the right size, in the perfect location, and great amenities. We had a wonderful time." Manager Response: Really pleased that you had an enjoyable stay at Chinook Winds Hideaway! Please come again soon! really no view of the ocean"
"We loved the house. It was very clean and had something for everyone in the family. The location was great. We will be back!" Manager Response: So glad you enjoyed Chinook Winds Hideaway! Please come back again soon! "The experience was wonderful , the home was beautiful and well taken care of . We enjoyed our family vacation ! Thank you for sharing this beautiful home ! " Manager Response: So glad that you enjoyed Chinook Winds Hideaway! Please visit again soon! "Perfect getaway for my mom's visit from Florida. She wanted the beach and the casino and we could walk to both!" Manager Response: So glad you enjoyed Chinook Winds Hideaway! Please visit again soon! "We spent a wonderful weekend in this great home. Home was clean upon arrival and had all items needed to make the stay comfortable. Plenty of space for six of us. Liked the close access to beach and the Casino." Manager Response: So glad that you enjoyed Chinook Winds Hideaway! Please come again soon! "We arrived to a clean but cold home. When I called I got a real person who apologized and said the home should heat up shortly as the heat had been off for some time. We enjoyed the surround sound features throughout the home as well as the entertainment options in the garage. I love the extras for kids even though this was a kidless trip for us. The proximity to Chinook Winds Casino was extremely convenient. And other than a couple lights being out it was a great stay and wed be happy to book this vacation home again." Manager Response: So glad that you enjoyed Chinook Winds Hideaway! Hope to see you again soon! "The house was very good, clean and cozy. Definitely has rental property furniture and appliances, but they are well maintained. " Manager Response: Thanks for staying at Chinook Winds Hideaway! Come again soon! "The house was warm and cozy, the kitchen was well equipped(we cook a lot)! Hot tub was nice. Bed's were comfortable. Very nice to have 2 1/2 bathrooms...."
"We had a great time though it was stormy the whole time. The house was perfect for the weather though with lots of stuff to do. " Manager Response: So glad you enjoyed your stay at Chinook Winds Hideaway! Hope you visit again soon! Only small issue was 1st floor toilet took like 30 minutes to refill. It is probably easy fix. " Manager Response: Thanks for the input! We are working on it! Hope to see you again soon! "Beautiful and clean home perfect for a family vacation. Kids enjoyed the game room and bunk beds. All enjoyed the short walk to the beach and the hot tub. Home was clean and in great condition. Will definitely stay here again." Manager Response: Glad you had a great stay at Chinook Winds Hideaway! Come visit again soon! "House is well furnished and the kitchen has everything you need. The garage was great for our kids on rainy days. We especially loved our visiting deer that came by each day for a visit. The place is very clean, beds are comfy and the neighborhood was nice." Manager Response: So happy that you had a great stay at Chinook Winds Hideaway! Hope you visit again soon! "When we arrived the hot tub had been maintenance and was not full or at temperature. The garage smelled of beer from the recycling which also reached inside the house =( the deck had a hole unsafe for the kiddos...and some of the dishes were pretty dirty. I do appreciate the amenities however and location is great. I would probably give it another stay." "This is our 2nd time and we love this house! It's great to see some updates have been made. It's super clean and a perfect location. Why spend the money at a hotel when you can have so much room for the same price!" Manager Response: So glad you enjoyed Chinook Winds Hideaway! Hope to see you again soon! "Loved it. No issues. Clean, comfy and homey. Second year at this house and no complaints !" 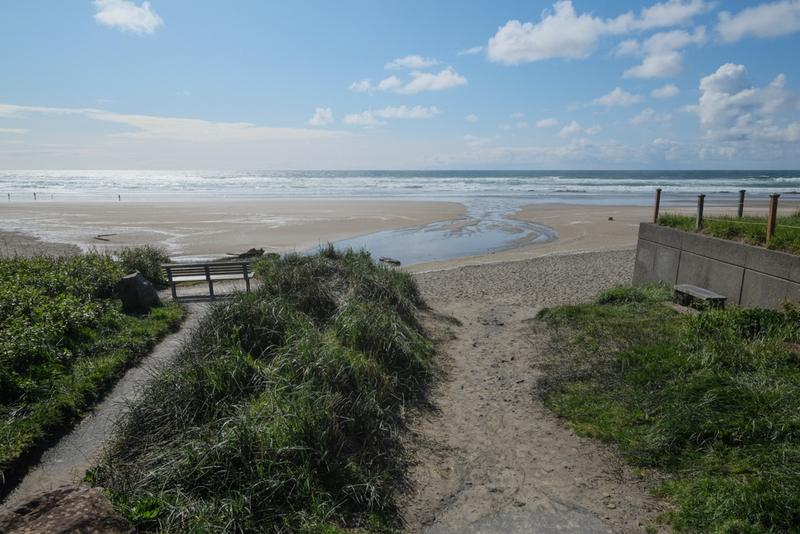 Manager Response: So glad you enjoyed your time in Lincoln City! Please visit again soon! "Second stay at the house, was in contact with rental management company regarding a few housekeeping items and she was very responsive. My party loved the house and it's close proximity to grocery store and other shops, casino and restaurants. I would recommend the house and would definitely stay there again." Manager Response: Thanks so much for staying! Glad we could address those items! Please stay again soon! "We had an awesome weekend!!! The house was absolutely perfect for us. The internet connection wasn't great, but when you're on vacation you shouldn't be on your phone anyways. We'll definitely be back!!!" Manager Response: Thanks for staying! We appreciate it! "It was the perfect size and location for a girls beach getaway. It was spacious and clean. The location is perfect if you like going to the casino and super close beach access, about five minute walks to both. The hot tub was amazing, not to mention the soaker tub in the master bathroom as well. The house was well furnished with all kinds of utensils and things needed for cooking. I would definitely stay here again and refer it to anyone." Manager Response: Glad you enjoyed your stay! Hope you come back again soon! "This vacation home was beautiful! I have rented from A-1 before previous years and they are great! Everything from inside and out was beautiful! The only down fall was parking issues. We had a few visitors which lead up to an extra car. We had to move it to Chinook wind. Wish we were able to park in the drive way since it.wasn't blocking the street, but other than that. It was a great experience. Will definitely come back again!" Manager Response: Thanks for parking the car at the casino. The city limits the cars allowed at the house. Glad you enjoyed your stay! "Overall we had a good stay at the place. Nice house and very cozy. Our kids had fun playing at the table games. " "The house was perfect for my family plenty of towels,dishes ect. Everyone enjoyed walks to the beach and then warming up in the hot tub. I have rented with A1 in the past and will again." "We really enjoyed the house. It was a perfect location for our needs. The house was fully stocked with everything we needed to enjoy a successful few days. " Manager Response: Thanks so much for coming! Please visit again soon! 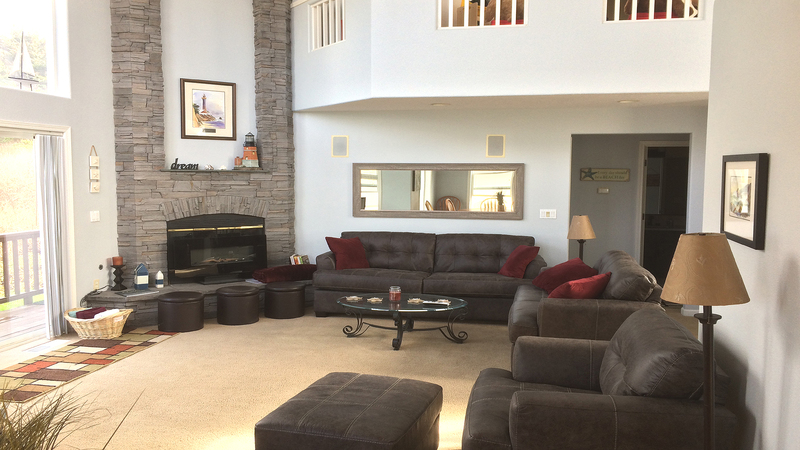 "We rented this house for a family ladies get-together and we had a blast! The location is easy to find and get in and out of. The house was just like coming home. Plenty of room, inside and out. The beds were very comfortable and there was plenty of seating for everyone. The high ceilings and fireplace were fantastic. The hot tub was a little small, but we made it work. The weather was windy, rainy with thunder and lightening, it really put on a show! I would recommend for groups of 8 or less, with or without kiddos." Manager Response: Very glad you enjoyed your stay! Please come again! "We loved staying at the Chinook Hideaway. It was clean, beautifully-appointed, amazingly well-stocked with kitchen equipment, and even had a hot tub! It's convenient to the beach, shopping and the casino. 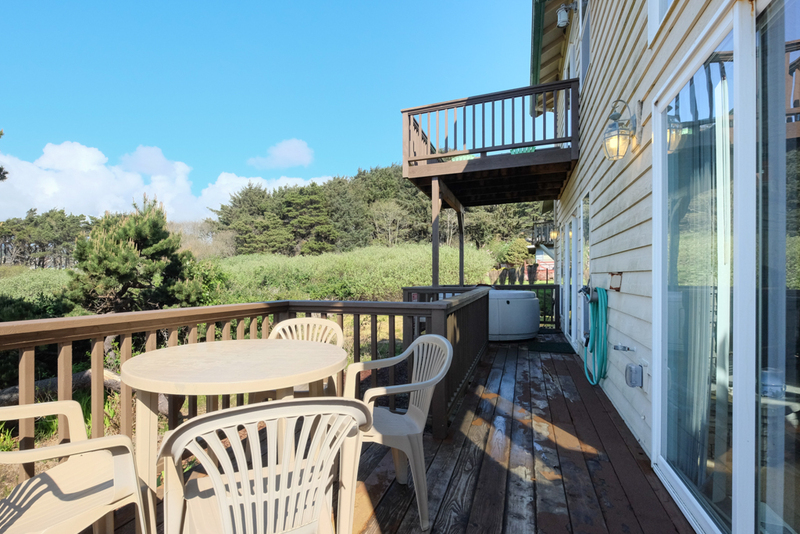 Overall, it's just a lovely restful light-filled comfortable place to spend time in Lincoln City. We highly recommend it." Manager Response: Thanks for visiting and your kind review! Please return again soon! "My family rented two houses so we could visit and play cards. (My siblings are in their 80's). The night before we were to arrive, I received a voicemail indicating we could have NO company at the house or we would be fined and someone would be watching. We only got to see each other when we went out to dinner. Ruined our get together and we wouldn't have come if we had known. The house is very nice, if you are just going with your own family and don't want to visit with anyone else, it's great, but we were so disappointed. Ruined our time. "We had a wonderful time at Chinook Hideaway. Plenty of room for the 8 of us. House was perfect!" Manager Response: Thanks for coming! Please return again soon! 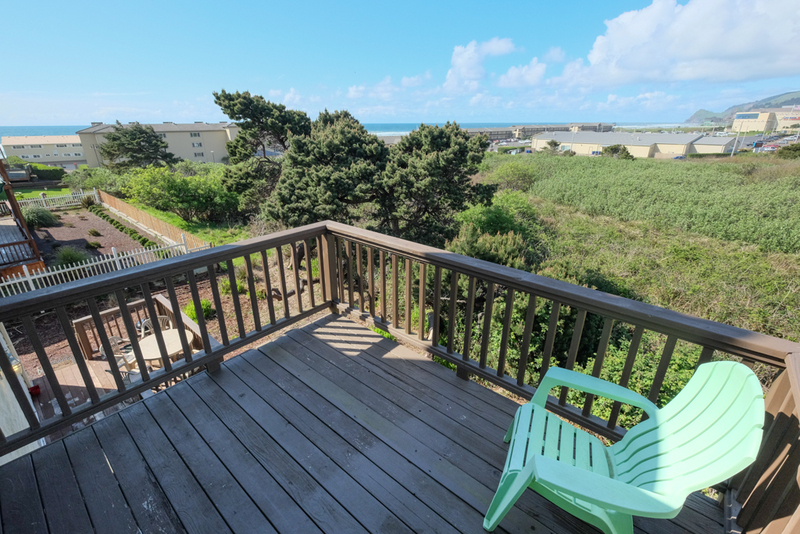 "Clean and cozy, vaulted ceilings, stuff for kids and adults alike, very close to the beach and the casino. Plenty of room! We'll be back!" "Overall we had a great time and plenty of room. This rental does need some replacement cook wear and repairs to patio door blinds. "We had a great time here! The beach was just a block and a half away, there were ocean views, and the kitchen was very well stocked. The only reason for the four stars on the general condition category is that we could have used a few more kitchen towels -- water got spilled and that took all three towels out of commission for a while. The largest (and most useful) frying pay lacked a handle. That sort of thing. But the kitchen did have plenty of tools to put to use. And all in all a good time was had by all. A bonus -- the boat models on the windowsills cast great shadows!" "We had a blast, very clean and there was a problem with the downstairs bathroom and the maintenance man was there very quickly to fix it and quick to repair and leave. loved everything about our stay. " Manager Response: So glad we were able to get that quickly! So glad you enjoyed your stay! Please come again soon! "Great view, lots of windows. Plenty of room for family to gather. Was pleased to find a BBQ even though A-1 said there was none. Fun game area in garage. Cleaning crew found a slow drain a had someone out first thing in the AM to fix it. WIFI is sketchy, but the 2 queen beds were easy to sleep on. You will enjoy it." "Great location! Walking distance or short drive to everything. The house was plenty big for our group of 6. " Manager Response: Glad you enjoyed your time at Chinook Winds Hideaway! Please come again soon! "The property is in a great location, with unobstructed distant views of the ocean. The kitchen was left dirty from the prior guest or guests, according to the property manager cleaning of the kitchen is the responsibility of the guest. This kitchen could use a good deep cleaning. Otherwise the home was great. " "I stayed at this property over the weekend with 6 of my girlfriends. The house is very comfortable, clean and in good condition. The beach is just a 2-minute walk away.I would stay at this house again." Manager Response: Really glad you enjoyed your stay! Please visit again soon! "We had a great time. The home is beautiful and the location is great. Super close to the beach and casino. Loved the fact that deer sat in the backyard and wondered the neighborhood. The house was clean and fully stocked with everything you need. It is an older home but has been well kept with just typical signs of age.I would definitely stay at this location again." Manager Response: Glad you enjoyed your time at the beach! Please come again soon! "We had a fabulous time here. 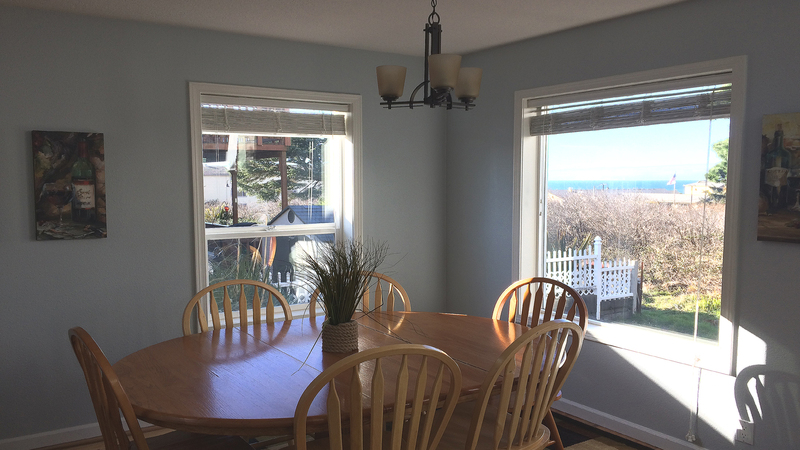 The house is beautifully decorated, clean, and close to the beach (just a five minute walk, even with a toddler.) The ocean view was somewhat obstructed by trees, but still nice. We were pleased with the large selection of board games. Also spent a lot of time playing ping pong and air hockey in the game room. Of course, the hot tub was awesome especially during the chilly evenings. The bedroom setup was perfect for our family (6 kids) and I have NEVER stayed in a place where the bed was so comfortable! Altogether, I would highly recommend this property. We made wonderful memories on our family vacation. Thank you!" Manager Response: Thank you so much for your kind review! Please visit Chinook Winds Hideaway again soon! "Everything was very nice. Enjoyed the spa. Excellent location with a short walk to the beach or the casino. My grandkids enjoyed the games that were available in the garage. Only recommendation is to get a new barbecue." Manager Response: So glad you enjoyed your stay! Please visit the beach again soon! "The house was nice, plenty of space for my husband and I plus our five kids. We had some minor issues: right front burner on the stove didn't work, lock on master bedroom didn't work, garbage bin was full so we could not empty our garbage correctly, hot tub still heating up on first night so couldn't use it until the second night, jacuzzi didn't work and the washing machine couldn't clean our clothes. Overall we were happy, and would come back. From the pictures I did think it was closer to the beach, but it all worked out." "We loved the master bedroom and the garage packed with indoor games was awesome since there was a bit of rain. We liked the house so much that we barely even visited the casino, which was our main destination. The beds in the kids room were bigger than anticipated, that was a lovely surprise. 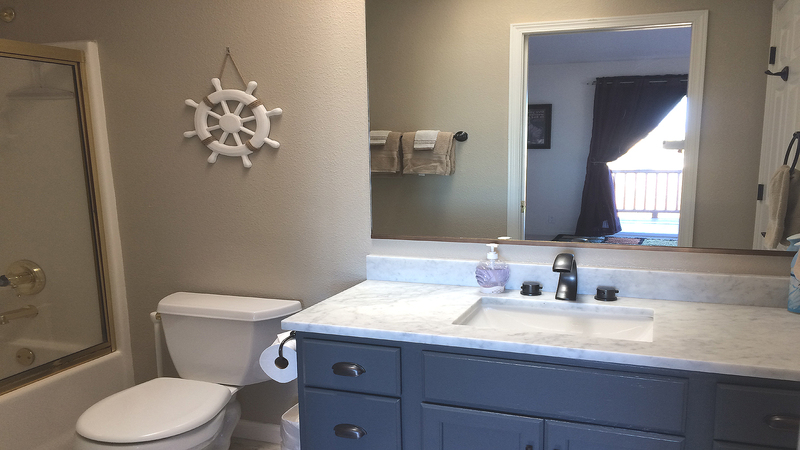 The only thing that would have made it better were working jets in the master tub and the blinds being fixed before our arrival." "We've always had a great experience with this rental property. Great amenities and A1 Rentals is always very helpful. Thank you from the Sather's!" Manager Response: Thanks for your kind review! Please visit again soon! "The house worked very well for our grandchildren, 7 and 8. They enjoyed the games and game tables and the hot tub. 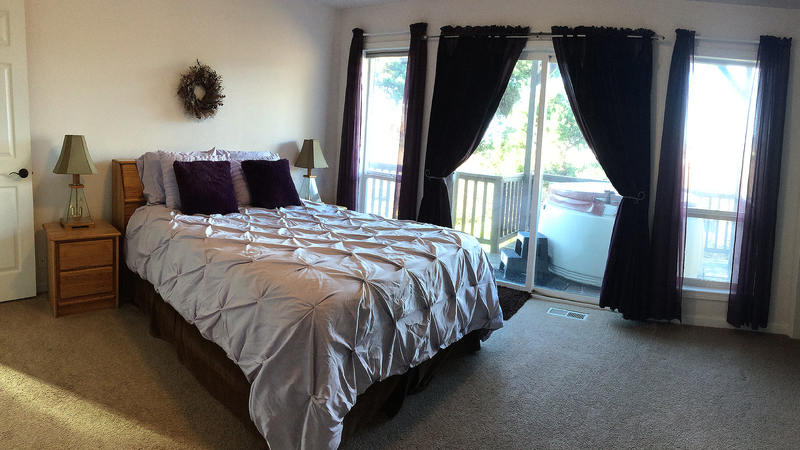 It also worked well to have two master suites. It was a very pleasant stay." "Lovely home, first rental I've found to be so well stocked, close to attractions and restaurants. Didn't try the hot tub or the games but hope to return and take advantage of those amenities." "We had a great time! We have three kids from10 to 6. It was great to stay in a place that was kid friendly. It was an easy walk to the beach- just a couple of blocks. We loved that no one was directly behind us. The house was accommodating, it had everything needed to feel at home. There were a few minor repairs needed to a dinning room chair and the glass top to the coffee table needed to be secured. We liked this place and would book it again. " "Loved the home. Would come back any time." "We rented this house for our annual grandkids trip and it was perfect. The house was very clean and stocked with everything we needed, all we had to do was unpack and enjoy ourselves. The game room was a big hit with everyone, even grandma and grandpa we're challenged to play. The play area upstairs was perfect for our 3 yr. old granddaughter. She loved it! The hot tub was a nice plus that everyone relaxed in. Some of us were even lucky enough to see the deer in the yard, that previous renters had written about. All in all this was a great rental and we would highly recommend it to other families. " "House was everything I'd hoped it would be. We enjoyed watching the deer in the backyard." "This was one of the best prices we found for the size we needed including a hot tub. It's located just up the street from the casino and the girls took full advantage of the walking distance to the arcade. The house was larger then we expected from the pictures on the site, 2 story house with vaulted ceiling in the living room. Definitely just right for our girls weekend getaway!" "We had our first annual cousins weekend at Chinook Hideaway. The home was the perfect size for the five of us. We were very comfortable and the kitchen had everything we needed. We loved the fireplace! We will definitely come back again. It was very easy to work with the staff at A-1 Beach Rentals." "The rental was a wonderful "home away from home" for our family reunion"
"While at Lincoln City we went to beach every day. The weather was kind of crazy but it did not slow us down a bit. The house is very pretty, the decor is very nice. We all were very comfy. The couches are very very comfy to. Everything we needed was in the house. Our kids had a blast in the game room. We plan on returning and I would really recommend it to family and friends. Thank you for sharing your house with us." "The house was even more beautiful then I exspected it to be. It was perfect distance to every place we needed to go. It was. Spacious and the rooms were great. I was sad that the tub was broken. I would go back again. Great rates too. The pictures didnt do it justices "
"This was my first time renting a house for a beach trip. It was so easy and I was furnished with all the information I needed for a fun and relaxing stay. The other 5 people with me also enjoyed the stay at Chinook Hideaway!" "Everyone's first words out of their mouths was "WOW", gorgeous place!! Every room was fabulous and clean. We couldn't want for anything else, and we all had soooo much fun, especially the hot tub and game room!! All my kids (adults) could say is "MOM, you did GOOD finding this place"....location, location, location !" "Really enjoyed this property. 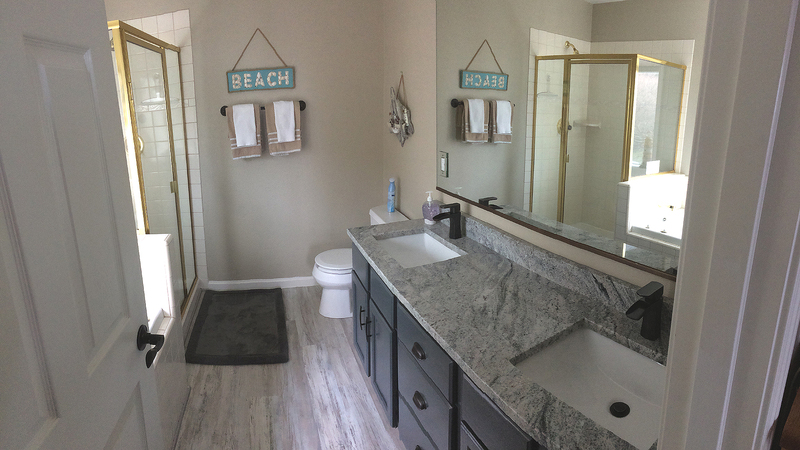 Short walk to the beach, beautiful home, stocked with all necessary amenities. Loved sitting in the spa overlooking the ocean. Wonderful time! " "The Chinook Winds Hideaway was a great rental for our girls weekend! The carpets are stained and everything is pretty old however, we were pleased with the home. The staff on-call were great and the owner of the home was extremely helpful in the weeks leading up to our visit. I would recommend this home!" "We always enjoy staying here." "We loved it! Clean, great size for our family, close walk to the beach. Tons of kitchen supplies. No complaints!" "This is a nice beach house very comfy beds very roomy as well luved the hot tub our family enjoyed it and short walk to beach." "We rented this house with another family and had a great time. The home was clean and well-equipped, only steps frim the beach. The beds were comfortable, we loved the hot tub, and playing air hockey & tale soccer in the garage was a blast! 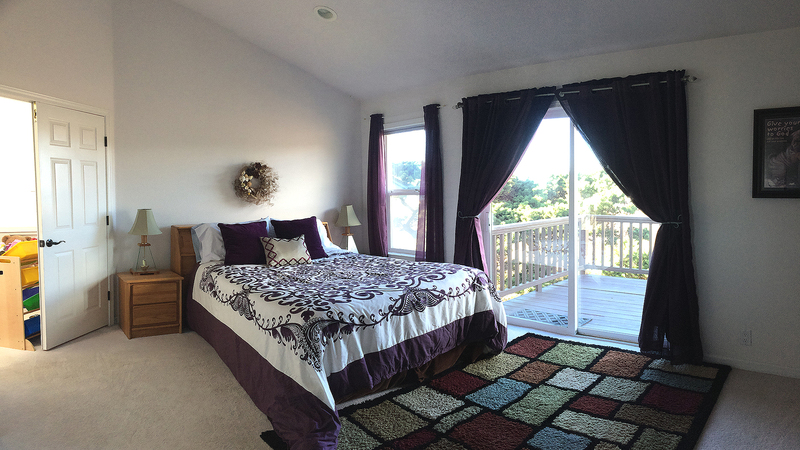 We would highly recommend this rental to others & hope to come back!" Manager Response: Thanks for staying! Please come back again! also the old low style, very low for ppl who are handi-capped as two of us were. Had asked if the house was handi-capped excessable & told it was. If not for the above, the place would have been perfect." "Rented the house for a ladies weekend getaway. It worked great." "We absolutely loved this house! The layout was perfect for what we needed. It was clean. The only downside is that you cant see the beach from the house. The carpets in the bathrooms could handle to be taken out. Overall it was a wonderful experience. The price also was very reasonable!" "Absolutely loved this house. Felt VERY at home. The kitchen was fully equipped with everything you could ever need. Tons of board games and not to mention the games in the garage. Beds were comfy and the shower pressure was great! The fire place and living room very cozy as well. Only thing that could be fixed is the Wi-Fi but who comes to the beach to play online?? " Manager Response: Thanks a lot! Please stay with us again! "This is our third time staying at this rental and never have been disappointed! Will certainly plan on staying again in the near future! Clean, relaxing and fun. " Manager Response: Thanks for coming! Please stay again soon! "We had a good stay with you. A couple things though the hot tub has too much chemicals it turned my black shorts a rust color ruining them. And there was beer cans outside and in game area. Other than that was a very lovely place. Thank you. We have shared our experience with friends who will be calling to rent I'm sure :)"
Manager Response: So sorry about the beer cans in the game area (garage). House cleaner is making sure to check that area and have it ready for action packed fun. Chemicals are carefully checked and ph balanced before every guest arrives. The floaty is working perfectly. These guests are always welcome. "Although it was a rainy weekend. The house and the stay was fabulous. Nice having all the amenities for cooking and comfortable furniture for a relaxing. Weekend. Thx a bunch!!" "This house was perfect for my Birthday Celebration. We had 7 women ,it was comfortable for all of us.The house was very clean,and relaxing. The blinds in some of the rooms didnt work, that's the only issue we came upon on."